With the increasing number of exchange and abroad study programs it is important to look at the academic environment, what type of stressors, and reactions to stress college students face while completing their higher education. This cross-cultural mixed-methods case study looks at similarities and differences in sources of stressors and students’ reactions to stressors in two teacher education programs with comparable curriculum, at two universities from different countries (United States and Romania). Data were gathered with a survey and focus group discussions. In the light of a student exchange program, to see if students would experience similar academic life in the two educational programs, the purpose of this study was to compare reported stressors and self-reports on reactions to stressors. Results show that from a cultural perspective there are similarities and differences in the stressors reported by students. Results from this cross-cultural study are of major importance for administrators in the two educational programs, and are important also for potential future student exchange or study abroad programs in these two cultures. Aherne, D. (2001). Understanding student stress: A qualitative approach. The Irish Journal of Psychology, 22(3/4), 176-187. Akgun, S., & Ciarrochi, J. (2003). Learned resourcefulness moderates the relationship between academic stress and academic performance. Educational Psychology, 23(3), 287-294. Arulrajah, A.A., & Harun, L. M. (2000). Relationship of psychological well-being with perceived stress, coping styles, and social support among university undergraduates. Paper presented at the Faculty of Educational Studies, Universiti Putra Malaysia, National Conference on Graduate Research in Education. Retrieved from ERIC http://files.eric.ed.gov/fulltext/ED460329.pdf. Barnett, R. C., Biener, L., & Baruch, G. K. (1987). Gender and stress. New York: Macmillan. Benton, S. A., Benton, L. S., Newton, F. B., Benton, K. L., & Robertson, J. M. (2004). Changes in client problems: Contributions and limitations from a 13-year study. Professional Psychology: Research & Practice, 35(3), 317-319. Broman, C. L. (2005). Stress, race and substance use in college. College Student Journal, 39(2), 340-352. Castillo, L. G., Cano, M. A., Chen, S. W., Blucker, R. T., & Olds, T. S. (2008). Family conflict and intragroup marginalization as predictors of acculturative stress in Latino college students. International Journal of Stress Management, 15(1), 43-52. Cazan, A., & Truta, C. (2015). Stress, Resilience and Life Satisfaction in College Students. Revista de Cercetare si Interventie Sociala, 48, 95-108. Chwee, L. C., Jiansan, D., & Perez, M. A. (1998). Validation of the East Asian Student Stress Inventory (EASSI), American Journal of Health Studies, 14(3), 370-375. Cismas, S. C. (2010, Septmeber 15-17). Stress factors in academic environments: Inventory of student issues in Romanian technical universities. Proceedings of the World Medical Conference, Malta, 297-301. Driskell, J. E., & Salas, E. (1996). Stress and human performance. Mahwah, NJ: Lawrence Erlbaum. El-Ghoroury, N. H., Galper, D. I., Sawaqdeh, A., & Bufka, L. F. (2012). Stress, coping, and barriers to wellness among psychology graduate students. Training and Education in Professional Psychology, 6(2), 122–134. Greer, T. M., & Chwalisz, K. (2007). Minority-related stressors and coping processes among African American college students. Journal of College Student Development, 48(4), 388-404. Gupchup, G.V., Borrego, M.E., & Konduri, N. (2004). Impact of student life-stress on health related quality of life among Doctor of Pharmacy Students. College Student Journal, 38, 292-301. Hudd, S.S., Dumlao, J., Erdmann-Sager, D., Murray, D., Phan, E., Soukas, N., & Yokozuka, N. (2000). Stress at college: effects on health habits, health status and self-esteem. College Student Journal, 34(2), 217-228. Lee, R. M., Keough, K. A., & Sexton, J. D. (2002). Social connectedness, social appraisal, and perceived stress in college women and men. Journal of Counseling and Development, 80, 355-361. Liao, K. Y-H., & Wei, M. (2014). Academic stress and positive affect: Asian value and self-worth contingency as moderators among Chinese international students. Cultural Diversity and Ethnic Minority Psychology, 20(1), 107-115. Lumley, M. A., & Provenzano, K. M. (2003). Stress management through written emotional disclosure improves academic performance among college students with physical symptoms. 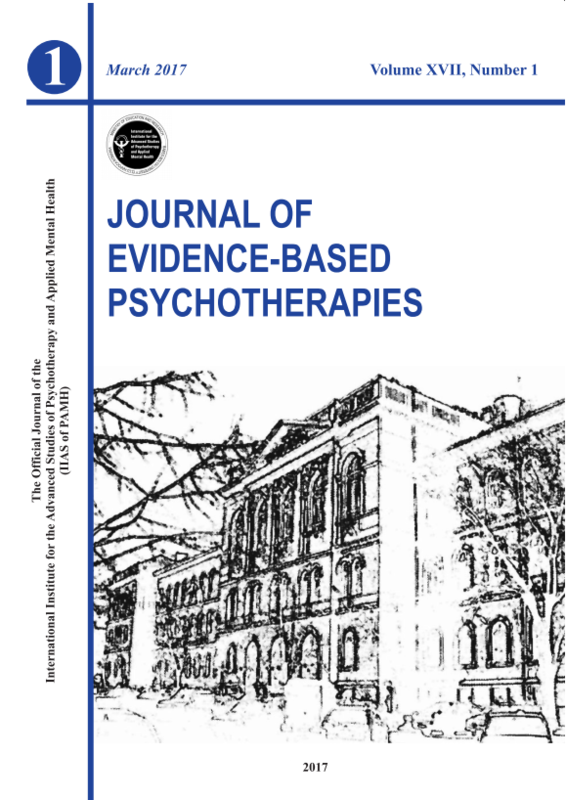 Journal of Educational Psychology. 95(3), 641–649. Mairean, C., & Turliuc, M. N. (2011). The relationship between dispositional coping and personality variables. International Journal of Education and Psychology in the Community, 1(2), 7-28. Misra, R., & Castillo, L. G. (2004). Academic stress among college students: Comparison of American and International students. International Journal of Stress Management, 11(2), 132-148. Misra, R., & McKean, M. (2000). College students’ academic stress and its relation to their anxiety, time management, and leisure satisfaction. American Journal of Health Studies, 16(1), 41-51. Comparison of student and faculty perceptions. College Student Journal, 34(2), 236-245. Oprea, I., Marian, M., Filimon, L., & Banciu, V. (2011). Recent life experiences: Psychometric data in the case of West area of Romania. International Journal of Education and Psychology in the Community, 1(2), 61-78. Ross, L. A., Attaway, T. L., Staik, I. M., Harwell, B. D., Burling, J. W., & Gilbert, D. K. (November 6-8, 2002). Assessing knowledge of professional burnout in college students entering helping professions: A pilot study addressing the need for inclusion of burnout information in undergraduate curricula. Paper presented at the Annual Meeting of the Mid-South Educational Research Association. Chattanooga, TN. Sam, A. T., Muttusamy, B., Yee, S.M., Ayapanaido, T., & Parasuraman, S. (2016). Investigation of stressors affecting a sample of pharmacy students and the coping strategies employed using modified academic stressors scale and brief cope scale: A prospective study. Journal of Young Pharmacists, 8(2), 122-127. Sandler, M. E. (2002, April). A structural examination of academic integration, perceived stress, academic performance, and goal commitment from an elaborated model of adult student persistence. Paper presented at the annual meeting of the American Educational Research Association, New Orleans, LA. Sinha, B. K., & Watson, D. C. (2007). Stress, coping and psychological illness: A cross-cultural study. International Journal of Stress Management, 14(4), 386-397. Tan, J. B., & Yates, S. (2011). Academic expectations as sources of stress in Asian students. Social Psychology Education, 14, 389–407. Wei, M., Liao, K. Y., Chao, R. C., Mallinckrodt, B., Tsai, P., & Botello-Zamarron, R. (2010). Minority stress, perceived bicultural competence, and depressive symptoms among ethnic minority college students. Journal of Counseling Psychology, 57(4), 411-422. Welle, P. D., & Graf, H. M. (2011). Effective lifestyle habits and coping strategies for stress tolerance among college students. American Journal of Health Education, 42(2), 96-105. Yan, W., Li,Y., & Sui, N. (2013). The relationship between recent stressful life events, personality traits, perceived family functioning and internet addiction among college students. Stress Health. Wiley Online Library, (wileyonlinelibrary.com), DOI: 10.1002/smi.2490.